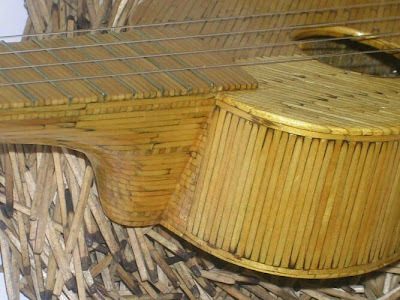 This fully functional musical instrument known as the ukulele was made entirely from matchsticks. 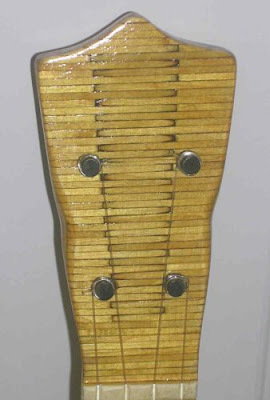 The ukulele is in the book of Guinness World Records, 2003 Edition. 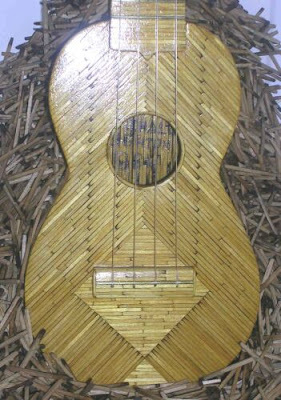 Abbreviated text says, "Tony Hall (UK) owns 10 playable musical instruments made entirely from 106,000 used wooden matchsticks." 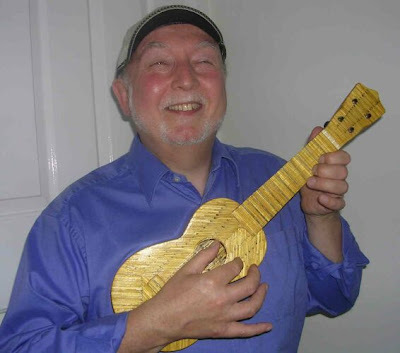 The professional musician who performed with the ukulele said, " The tone and sound is great and it is a pleasure to handle and play."